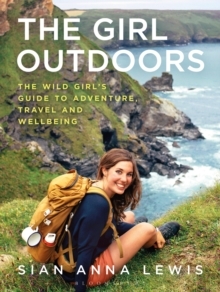 An adventurous best mate in book form, The Girl Outdoors is a rip-roaring guide to the wider, wilder world. Whether you're going on a physically demanding expedition or making cordial from foraged berries, this beautiful book is packed with inspiring and attainable ideas and advice. Follow Sian's guide to getting active outdoors, from mountain biking to climbing, surfing, kayaking and more. Planning a wild adventure? You'll find chapters on everything from wild camping and cycle touring to holding mini festivals and scrumptious campfire recipes. Then we're off round the world with trip-planning advice, essential kit lists and tips on long-term backpacking and working abroad. Scattered throughout are enticing ideas for global adventures, from swimming on Scottish islands to canoe camping in Canada. The Girl Outdoors warmly welcomes you to a wilder way of life and ensures you'll never again have to experience FOMA (Fear Of Missing Adventures).